« Farewell Kobold Quarterly & Level Up! I have hundreds of bookmarks. Some of them go to sites I check daily, some are there as an ad hoc TO DO list, and others are just garbage I meant to get to but never did. In January 2009, I had the same problem. Instead of trying to figure out which ones to keep and which to ditch, I killed them all and started from scratch. My current bookmarks all grew naturally over last year, and I even tracked the sites I visited most often during 2009. * http://ephealy.com/: My home page. I have to verify that it’s working and that my new posts make it up, so naturally it’s on top. * http://gamecryer.com/: My game review site, which I update every third day, or so. * http://www.warpigradio.com/: My radio station, which I update weekly. * http://www.timeanddate.com/: I obsessively check this, watching the days tick down until I’m free and clear of the Army. Come 15 November, Uncle Sam won’t hold sway over me. Until then, this link gets checked far more often than I care to admit. * http://twitter.com/: I still use the website just as much as my Twitter client (twihl). * http://www.facebook.com/: Outside my own sites, Facebook is my primary outreach tool. Very powerful. Very important to me. 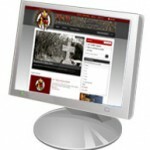 * http://www.google.com/admanager/: For administering my advertising network. * http://www.google.com/analytics/: For monitoring my sites. * http://feedburner.google.com/: For monitoring my feeds. * http://www.hulu.com/: Where I waste time and burn brain cells. * http://atomicarray.com/: The bi-weekly gaming podcast I co-host. * http://rpgcountdown.com/: Casey Kasem meets Roleplaying Games. Everything else gets deleted. Who knows what sites 2010 will bring to my attention; I guess we’ll find out in 12 months! This entry was posted on Monday, January 4th, 2010 at 00:18 and is filed under Featured. You can follow any responses to this entry through the RSS 2.0 feed. You can leave a response, or trackback from your own site.